On the heights of Manosque, the hotel Le Pré Saint Michel, charming 3 star hotel is ideal for a weekend escape and relaxes. Let yourself be captivated, time for a weekend by the exceptional landscapes of Provence enjoy the comfort of a charming hotel in Manosque. For a weekend getaway in the South of France, discover Manosque, city heart Jean Giono and stay in a hotel in the typical Provençal atmosphere. The hotel Le Pré Saint Michel welcomes you in a warm atmosphere for a weekend exotic and unforgettable stay in Manosque. 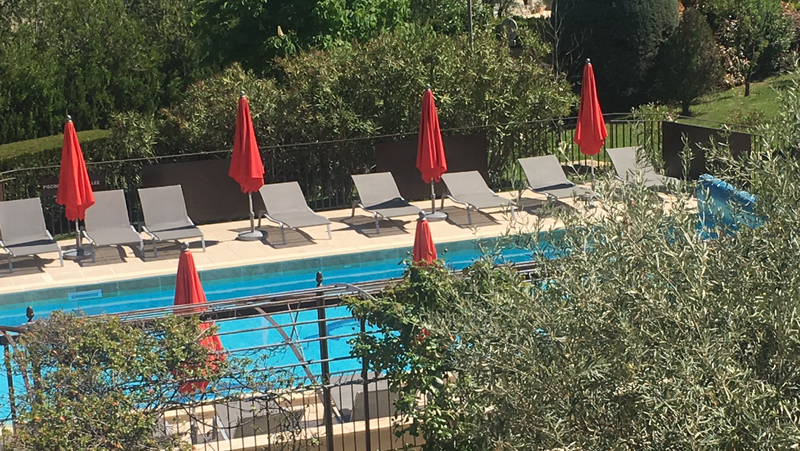 During your weekend in this hotel, you can relax by the pool and enjoy the traditional cuisine of the restaurant for a stay of well-being able to Manosque. The hotel Le Pré Saint Michel invites you to discover the time of a weekend, the unique landscape surrounding the town of Manosque. For your next weekend, this 3-star hotel in Manosque invites you to stay in a beautiful country house in the Provencal style in the quiet of a pristine landscape. In the mild Mediterranean climate Pré Saint Michel Manosque welcomes you for a weekend escape, relaxes and discoveries. Discover the cultural heritage of Manosque, lavender and olives of Provence and enjoy the warm hospitality of a charming hotel for a successful weekend.